Since the 1990s, major animation companies like Disney have been outsourcing (meaning they have the animation done by other smaller companies) portions of their films and tv series, and in recent years, the entirety of their projects, to foreign animation companies. But as with the entire global film industry, that is now changing. These animation companies and their talented animators are realizing that they are capable of more than just providing outsourcing animation services for US, and can create their own projects for their own countries. 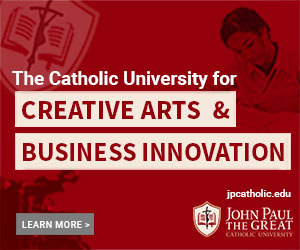 Now admittedly, none of these production companies or studios can truly compete with the likes of Disney/Pixar or Dreamworks Animation (at least not yet). Disney-Pixar and Dreamworks are so universally recognized that they would be hard to unseat as leaders. And with their feature film budgets of over $150 million, most animation companies can’t hope to match them in marketing and distribution. But as we’ve seen with Illumination Entertainment (Despicable Me, The Secret Life of Pets, SING), computer-generated animation can be done for less money if the talent is there. And that’s what many of these companies have realized, and it has inspired them to make content for their local markets, with the possibility for international distribution. The following companies are ones you probably haven’t heard of, but are making waves not only as a result of the quality of their animation, but also their characters and stories, as many have successful franchises on their hands. Check out these ten companies around the world that may be giving Disney a run for their money! Called the ‘Chinese Pixar’ by some, Light Chaser has promised to create “world-class animated films”, especially with China becoming the largest market for the international box office. Based in Beijing and founded in 2013, Light Chaser’s first feature The Guardian Brothers was released last year had a budget of $12 million USD, and pulled in $147 million at the box office. In Mandarin-speaking territories, their first film was released over a year ago by major Chinese player Alibaba Pictures Group under the title Little Door Gods. Later last year, with an English voice cast including Meryl Streep, Nicole Kidman, Edward Norton, and Zendaya, it was released worldwide by the Weinstein Company, the last film to be released by the bankrupted company. Light Chaser Animation has since released their second feature Tea Pets in their domestic market, as well as Cats and Peachtopia this month. Unfortunately, neither has done quite as well as The Guardian Brothers, but still have been praised for the quality of their animation. The Guardian Brothers is available in the US on Netflix. Since announcing their multi-year production partnership deal with Fox, which is expected to deliver one film every 12-18 months (no word yet how Disney’s acquisition will affect this), this production company is on everyone’s radar. Founded by Sarah Smith and Julie Lockhart in 2014, and based in London, the studio claims on their website to be the UK’s “only high-end CG animation studio”. Their first animated feature, which is still in development, will be directed by co-directors Alessandro Carloni (Kung Fu Panda 3) and J.P. Vine (Inside Out, The Good Dinosaur) and is expected to be released for the 2020 holiday season. 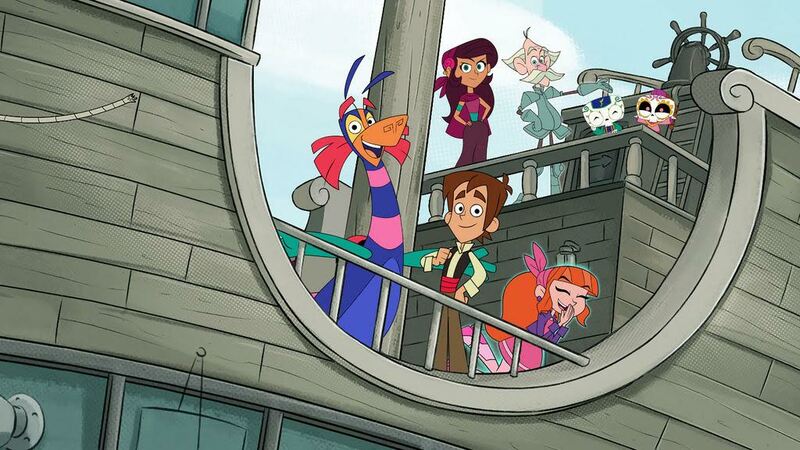 Animaccord Animation began with one series, and since that series has become a worldwide hit, they are running with it! 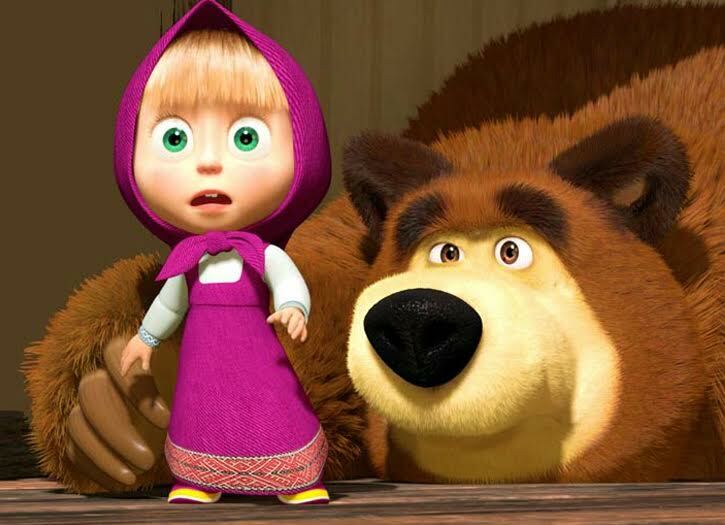 Masha and the Bear in the last decade has quickly become one of the most popular franchises in the world (although most American audiences are unaware of it!) Toys, merchandise, spin-off series, and an ice show have come from the adventures of this little girl and her bear friend. 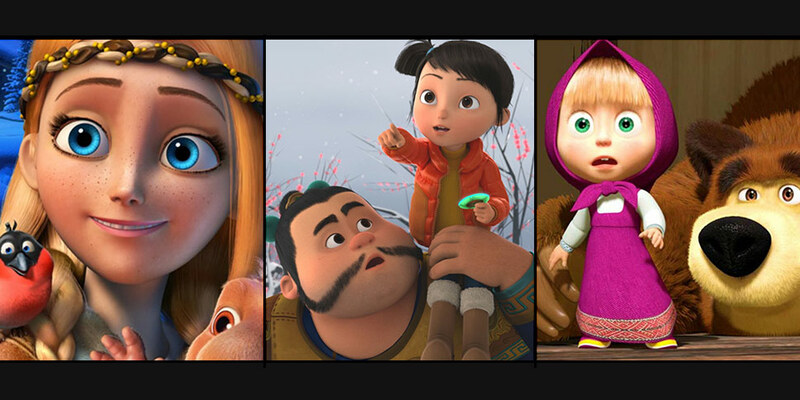 Masha is a precocious little girl, who has a father-daughter relationship with a bear. The bear tries to keep Masha out of trouble, which she consistently finds herself in. The original series began in 2009 and has since spawned two spin-off series: Masha’s Tales and Masha’s Spooky Stories. Much of her popularity is credited to the high quality of the animation, as well as cuteness of the title character. Her modest dress is also a contributing factor, making it especially popular with Muslim audiences. All three series are available in English on Netflix. 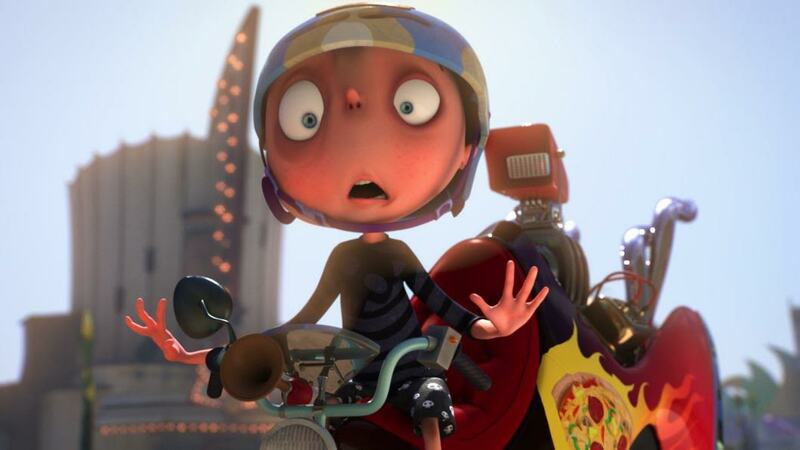 This small boutique production company from down under has had a successful franchise on their hands because of their character Figaro Pho, the boy who is afraid of everything. The first series The Adventures of Figaro Pho, which revolves around a boy who won’t leave his own house and has each episode focus on a specific phobia, is seen by audiences in 100 countries. In 2014, Chocolate Liberation Front formed a partnership with Luma Toons, a new branch of the leading SFX studio Luma Pictures, to produce 39 episodes for the second series entitled The New Adventures of Figaro Pho, which takes the character outside his house. The first series is available in the US on Hulu and Netflix. The second series is available on Hulu. But back to Russia, let’s not forget about Wizart Animation and their successful franchise The Snow Queen. 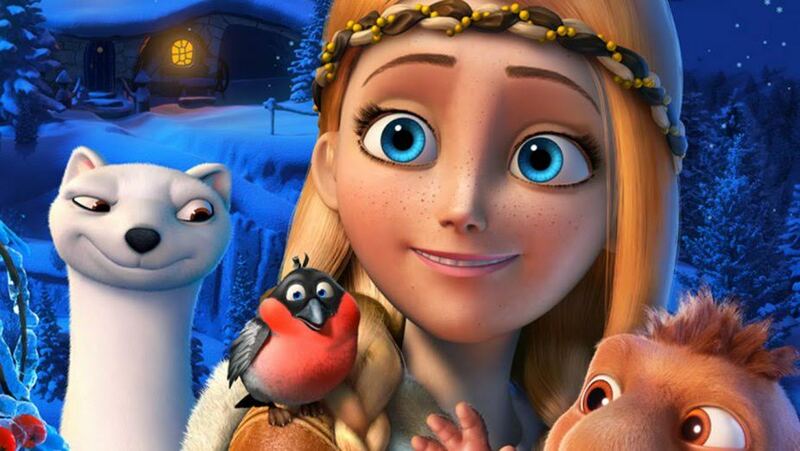 Based in Moscow, Wizart had first intended its film The Snow Queen (2012) to compete with Disney’s 2013 hit feature Frozen. Released an entire year before Frozen, the Russian version however followed the original tale more closely than its competitor. But its following sequels have certainly strayed from that original storyline, including many colorful characters that children seem to enjoy. Although The Snow Queen made a small fraction of what Frozen would make at the box office, it was also made for a fraction of the budget (made for $7 million, while Frozen was made for an estimated $150 million). Although the animation quality of the films has been criticized, the franchise now includes four films, and has reached over 150 countries around the world. Fantawild has one main focus: Boonie Bears. 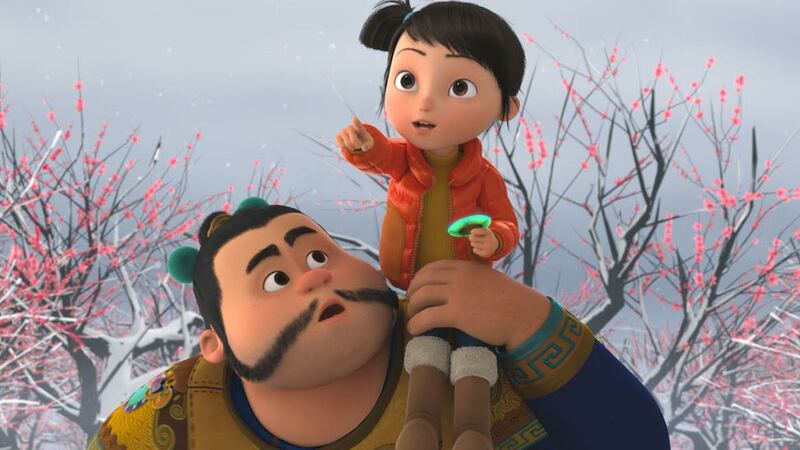 Since the original tv series began in 2012, the franchise has become China’s most successful animated property, and includes over 200 episodes from the tv series, as well as five feature films and a spinoff series. 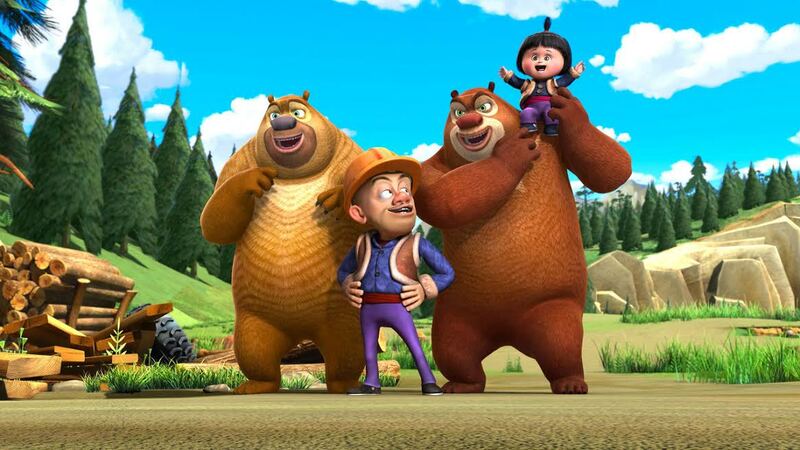 Boonie Bears follows two bears, named Briar and Bramble (most likely different in native Mandarin), who try to stop Logger Vick from destroying their forest home. Boonie Bears has been translated from original Mandarin, into English and Russian, as well as Tamil and Hindu for Indian audiences. Sony was set to theatrically release the latest of the Boonie Bears films: Mystical Winter in the US, but it seems that the deal may have fallen through. Boonie Bears: Big Top Secret (2016) is available on Netflix. Based in Paris, the company was created in 2011 as part of Universal’s purchase deal of the animation arm of French animation/ VFX company Mac Guff. 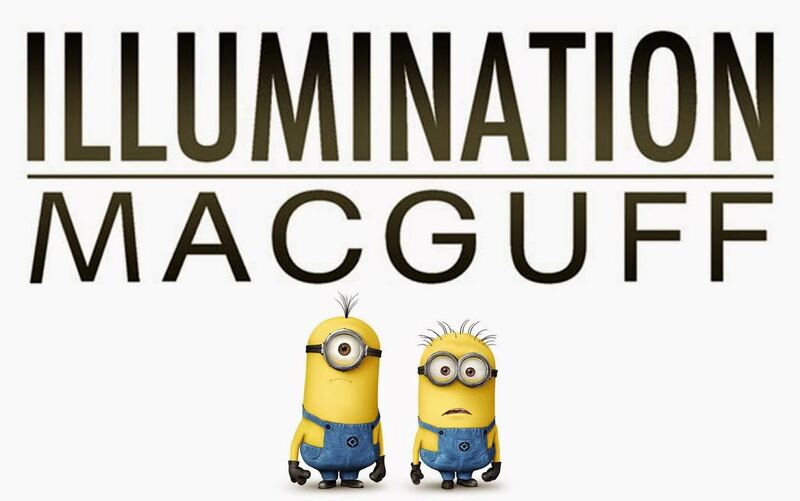 Illumination Mac Duff now does the majority of animation work for Illumination Entertainment animated features including Sing, The Secret Life of Pets, and Minions, as well as their upcoming sequels and their upcoming holiday project Dr Seuss’ The Grinch. Their original parent company Mac Guff has provided VFX services for multiple films including the 2017 sci-fi Valerian and the City of a Thousand Planets, the most expensive French film to date. At some point in the future, instead of simply serving as a source of outsourcing services for Universal + Illumination, we may see localized productions coming from this studio. Not to be confused with Blue Sky Studios (the studio behind Ice Age franchise), Blue Dream Studios is set to see their first animated feature get worldwide theatrical release this year. After creating two shorts, The Zoo (2003) which was distributed by Disney, and Emperor (2007) which was distributed by Nickelodeon, Blue Dream Studios has moved on to its first feature. It even expanded to include offices in Spain in 2014, when founder Jaime teamed with Spanish veteran producer Nathalie Martinez to co-found Blue Dream Studios Spain (BDSS) located in Valencia, Spain. 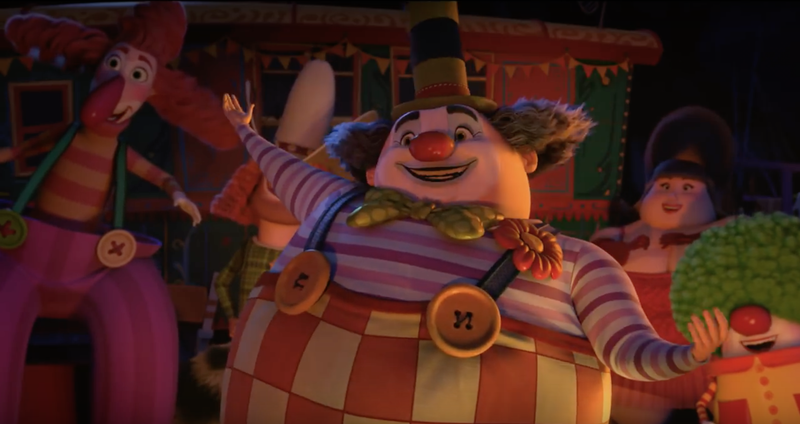 Their first feature film Animal Crackers was made to be released in both Spanish and English, with the English voice cast including stars like John Krasinski, Emily Blunt, Ian McKellen, Danny DeVito, and Sylvester Stallone. The story follows the Huntington family whose life is turned upside down when they inherit a rundown circus and a mysterious box of Animal Crackers, which magically change the person who eats them into the animal they have eaten. With a budget of only $17 million, the film is great quality for the money, which was noticed by Entertainment Studios, who bought the international rights in November. But according to a recent facebook post from the studio, distribution is still not set, and there is a chance it may not reach theaters this year (or ever). Dujass Films, based in Italy, was responsible for animated feature film Leo the Lion, which was actually made sometime between 2004 and 2006. The film was rediscovered by The Weinstein Company in 2013, and dubbed in English and Spanish. It has been criticized as a rip-off of Disney’s The Lion King, being called one of the “worst movies on Netflix”, but seems to appealed to it’s key demographic: children. But Dujass has yet to make any more films since it’s last animated release Orlando in 2011… so we will see if they can make a comeback. Leo the Lion is now available on Netflix. Mexico has become a major player in animation in the last year, supported by Academy Award winning filmmaker Guillermo del Toro (whose love of animation recently led him to sign an exclusive agreement to direct films for Dreamwork Animation!) The biggest animation studio in Mexico is Anima Estudios, located in the country’s capital, Mexico City. This year, Netflix launched a tv series called Legend Quest based on the successful franchise, available in both Spanish and English. Monster Island is also available on Netflix. Keep an eye out for animated family features, as well as animated series for the younger audiences, which don’t bear the label Disney, Pixar, or Dreamworks. You’ll no doubt be seeing many more of them, and they are definitely worth a look!